The inspiration which led to the creation of CHIKYU’s RICE & ROOT Enzyme Powder was my beautiful mother who always took great pride when caring for her skin. Throughout the years, I can recall countless times when my mother was complimented on her flawless complexion, followed by the inevitable question as to how she achieved and maintained her porcelain skin. Each time she would humbly respond with one word “rice.” While she kept her response limited, she and I both knew there was more to her regime than simply rice. RICE & ROOT Enzyme Powder was created by using traditional ingredients used for generations by my Japanese ancestors along with additional nutrient rich botanicals to achieve healthy radiant skin! ♦️RICE & ROOT is effective and gentle enough for all skin types. 🔷Liquid activated enzyme powder consisting of Rice Bran, Enzymes, Peptides, skin brightening and conditioning botanicals to achieve healthy radiant skin. 🔷 May be activated with water, or with CHIKYU’s Facial Cleansing Oil or any of CHIKYU’s Facial Cleansers. 🔷Contains traditional Japanese ingredients consisting of Rice Bran and Roots, used for generations to harmonize and brighten dull complexions. 🔷Gently exfoliates increasing collagen production while delivering alpha hydroxy acids and antioxidants to boost results and leave skin extremely soft and luminous. Directions for Use: Wet face. 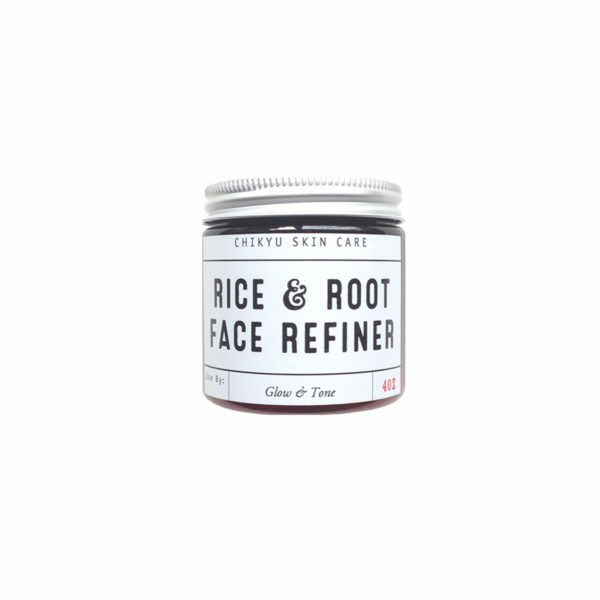 Using provided spoon, dispense a small amount of RICE & ROOT into palm and add either water, or CHIKYU”s Facial Cleansing Oil, or any of CHIKYU’s Facial Cleansers to create paste. 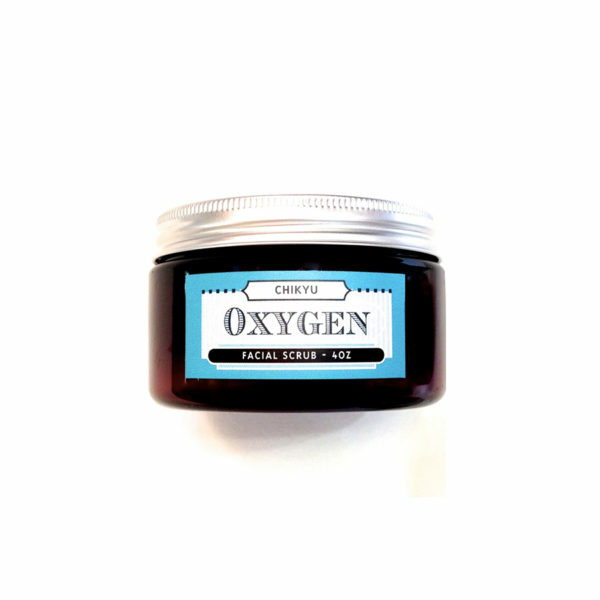 Gently massage paste in a circular motion onto face (avoid eye area), for 20-30 seconds. Rinse off with warm water and pat face dry. 📢 Do not allow ingredients in container to contact water. Always close lid tightly after each use. Note: Best used no more than 3 times a week. ❗️This product is NOT Vegan. – Bamboo Silk is a rich source of Silica, an essential nutrient for the skin. Furthermore, it is excellent at washing away dead skin cells and removing daily oil build up and pollutants. – Burdock Root Extract contains Vitamins B complex and E. In addition, it boasts trace minerals of potassium, phosphorous, chromium, cobalt, iron, magnesium, silicon, zinc and sodium. Burdock Root is also known to increase circulation to the skin thereby helping to detoxify the epidermal tissues. – Grape Root Extract is high in flavonoids and contains compounds that stabilizes and strengthens the collagen and elastin in the skin so that their chemical structure is not disrupted. In addition, Grape Root astringent properties are known for tightening and toning skin tissues and maintaining skin elasticity. – Pineapple Extract contains the fruit enzyme Bromelian which is effective in exfoliating dead cells on the surface of the skin and also hydrolyze proteins. 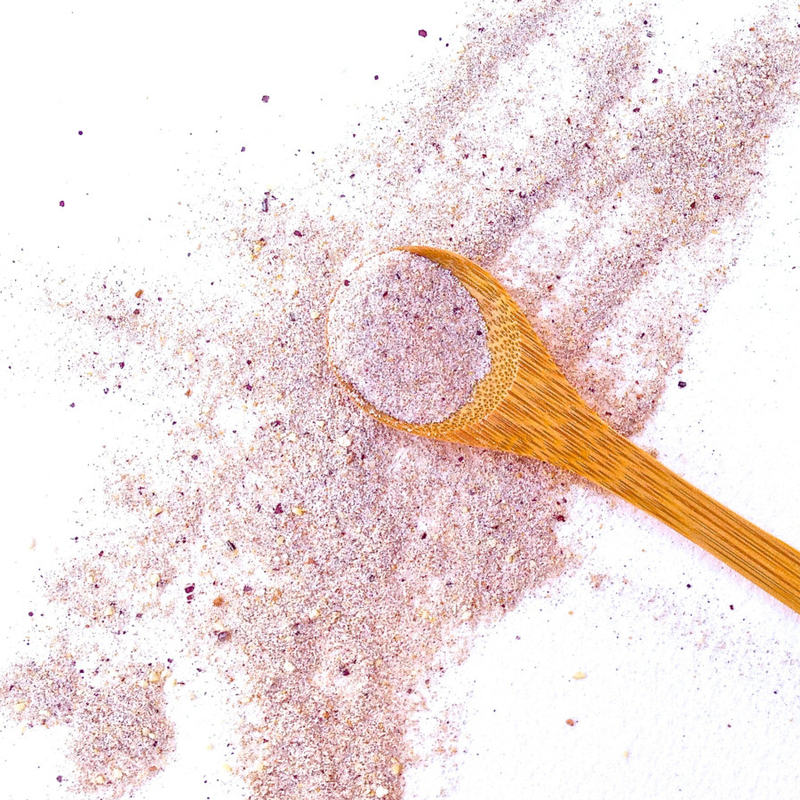 – Rice Bran Powder is rich in Phytosterols including Gamma-Oryzanol and Ferulic Acid and when combined with Vitamin C, they become a potent antioxidant for cell membranes. Moreover, Ferulic Acid is known to suppress melanin generation in the skin layers, the pigment structure in the skin that protects the skin against excess sun exposure. – Rosehip contains high amounts of Vitamin A, C and E and is known to be active in cell regeneration and for its ability to improve skin conditions from uneven pigmentation, dark spots and UV damage. – Sea Buckthorn is rich in Vitamin A (carotene and carotenoids), Vitamin C and flavonoids, minerals and nutrients and high in both Omega-3 and Omega-6 fatty acids which makes them all exceptionally nourishing for the skin. – Silk Peptides is made up of 100% fibroin which contains 18 kinds of amino acids and trace elements to help maintain moisture levels in the skin and prevent dryness. In addition, the crystalline structure of the peptides is said to reflect UV radiation and has anti-bacterial properties. – Soapwort has been used by American Indians as a soap substitute due to its Mucilaginous juice when mixed with water. It is the element saponin that imparts the foaming and cleansing properties. – Unshiu is a small seedless member of the citrus family used in Japan to brighten, highlight, moisturize and revitalize dull complexions keeping skin looking fresh and uniformly smooth. – Yucca Root is loaded with Vitamins A, B and C, as well as Calcium, Phosphorus, Potassium, Iron and saponins which act as a natural foaming agent and provide antioxidant properties. In addition, it is similar to Soapwort in that it contains saponin which partially acts as a natural foaming agent. Each CHIKYU product is made with purity in mind. Therefore, our products are made to order and handcrafted in small increments without the use of harmful toxic agents or chemically derived preservatives. CHIKYU’s RICE & ROOT will sustain a shelf life of no more than 6 months from the date it was made. ♻️ CHIKYU containers are BPA Free. When finished with product, please reuse, or recycle container. Your products is amazing! I wanted to try them out before leaving a review but this leaves my face so smooth and ready for my serums! Thank you and happy new year. 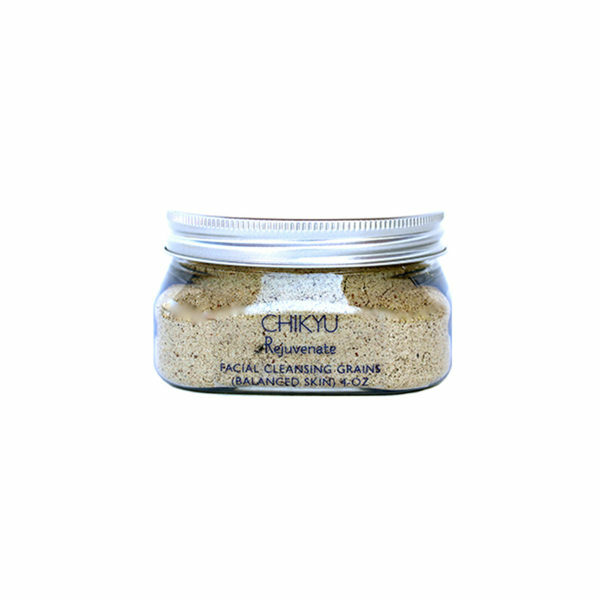 I love so many of the products I have had the pleasure of using from Chikyu over the last two years. This enzyme powder is hands down my can’t live without product. I received a sample from Lynn who is always so generous and gracious in that department and soon reordered the full size. I have maturing combination skin and use this product daily with my face wash. The enzyme powder gently exfoliates my skin, leaving it soft and smooth. Thank you, thank you for another wonderful product! The face scrub is great! It brightens my skin. I’ve been using it for a few days and my painful acne is become less painful after each use. This seller is amazing! They even included a surprise sample and a sweet handwritten card! Thank you for your kindness and generosity. Really great exfoliating product! I got some free samples in a very nicely wrapped package. Very fast shipping. All the products feel light and seem like great quality. This scrub leaves my face feeling soft and smooth! I was obsessed after receiving a sample, which lasted forever 🙂 I love using it with my chikyu face wash. This is what I’ve been looking for. Very nice product ! Rice Bran and Azuki Beans power is traditional face scrub in Japan. I remember my grandmother always use “Nuka”(Rice Bran) sache when she wash her face (^_^) Thank you for the gift – beautiful packaging! Another great product. I love the packaging! Looks great in my bathroom(which is all black and white) love the little wooden spoon and the natural authentic amazing ingredients. 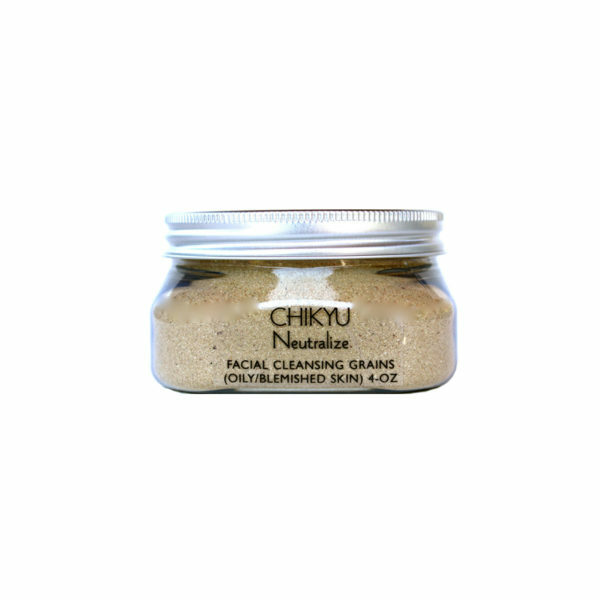 The fine grain is gentle on my crazy reactive skin and leaves my face feeling deeply cleansed and happy! I also used this on the chicken skin on the back of my arms and it had helped tremendously! I am very happy with this product! I mixed this scrub with a cleanser I purchased from this shop. It created a kind of paste that I used to scrub my skin. It left my looking looking bright and new. I like how it makes my skin feel afterwards. At first use I scrub a little too hard but if you gently going circles it works great. THE BEST exfoliator EVER. 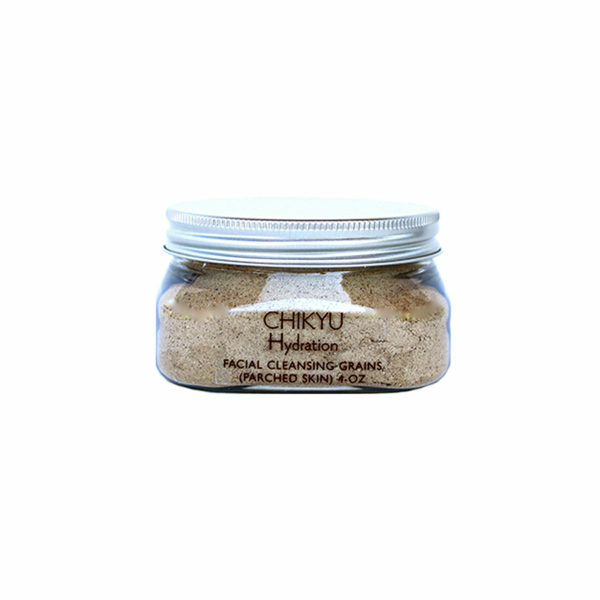 I order from Chikyu all the time, and she sent me a free sample of this face scrub. I’m so happy she did, because it’s #1 in my book. I thought all exfoliators were basically the same, but they’re not. Love this Facial scrub! Works fantastic for my skin and also brings out my natural glow.My face has never looked or felt so smooth.The Artisan and Owner is incredible! She wraps these so beautifully and even refunded over charges which i thought was so nice!Chikyu is my new favorite store for my facial products and I appreciate that she makes sample sizes that we are able to buy to see how our skin takes to them before purchasing the full sizes.Thank you also for the sample you included,that was so kind and very thoughtful of you! Will be ordering again and highly recommend her products!!!!! !😁10 stars!!!!! Glorious! I love it so much! Made my skin feel soft!